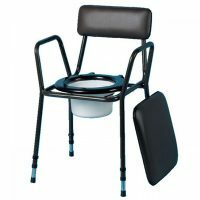 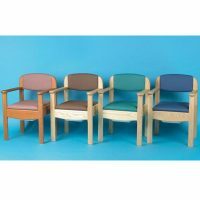 This commode comes with detachable armrests for easy side transfer and a detachable backrest for storage. 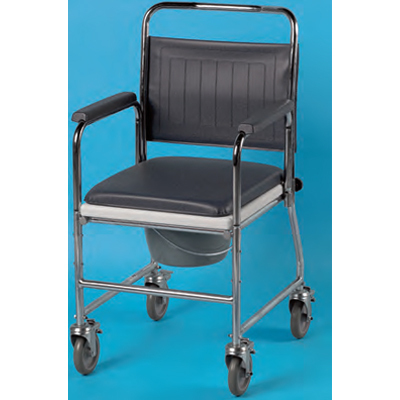 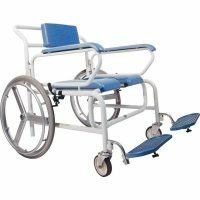 Push handles and swivelling castors are fitted as standard, enabling the chair to be easily manoeuvred over the toilet. 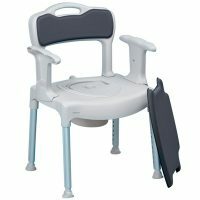 The aperture seat is hygienic and easy to clean.